We’re situated in a seller’s market here in North Alabama, and this means that there aren’t as many homes available as we have people looking to buy them. For sellers, this is good news and it means that you’ll have multiple offers from buyers. However, for buyers in North Alabama, this means that you’ll be fighting an uphill battle. But there are ways to compete and thrive in this market. Conventional wisdom might tell you that choosing the highest dollar offer would put you in the best position, but sometimes home sellers aren’t looking for the most money. Sometimes they’re looking for the greatest convenience. The strength of a buyer’s financing also plays a big role. Not all loans are created equal, and not all home buyers use local lenders. Local lenders are preferred because they are easier to contact, and they are often more dependable than large, out-of-town lenders. Closing date is another key aspect. As a buyer, if you can close sooner rather than later, that’s probably going to be a major plus for the seller. However, some sellers may need more time, so our advice is to stay as flexible as possible. Have your buyer specialist ask what the seller would like in regards to the swiftness of the closing date and the inspection period. Our last piece of advice is to keep your offer as simple as possible. Try to remove as many contingencies as possible so that the seller doesn’t see you as picky or needy. When a seller sees your complicated offer next to a more simple and clear one, you can probably tell who they would choose. 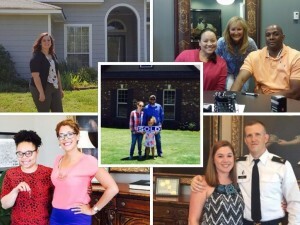 If you or anyone else you know needs help choosing an expert Realtor in the North Alabama area, please don’t hesitate to contact me and my team at (256)-799-9000!